Many of us love the ocean. Many love to travel. 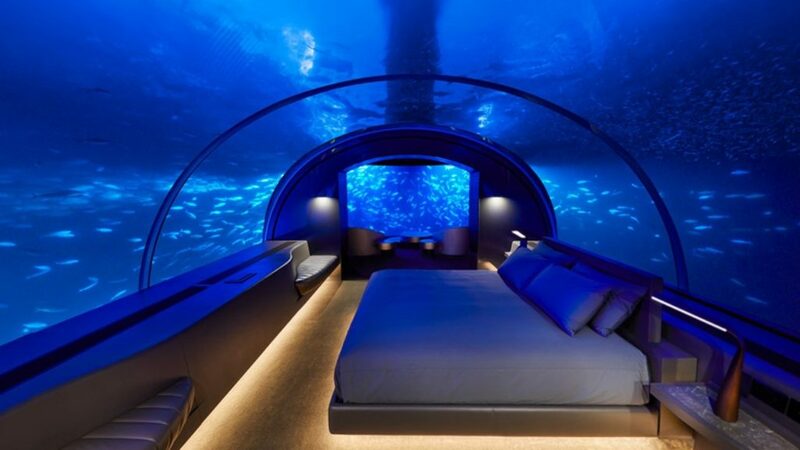 So what about if we told you that you can now combine the two thanks to the fact the world’s first underwater hotel is now open? It’s time to pack the bathing suit and jump on a plane. The villa, situated in the Maldives, is named The Muraka and offers up just about everything you could imagine – just all under the water. Not only is there a huge bed with a shower and bathtub, that offer up full views of the ocean, but there is also a private bar, a gym, butler’s quarters, and an infinity pool. On the top floor, there is a relaxation deck that’s perfect for tanning in the sun. Thankfully, the villa has been built with the environment in mind. The Muraka, which means “coral,” was carefully shipped from Singapore before being sunk 16 feet below the surface of the water. Once submerged, the whole building was secured into place with concrete pylons to ensure it doesn’t float away, shift along the floor, or get disturbed during a storm. 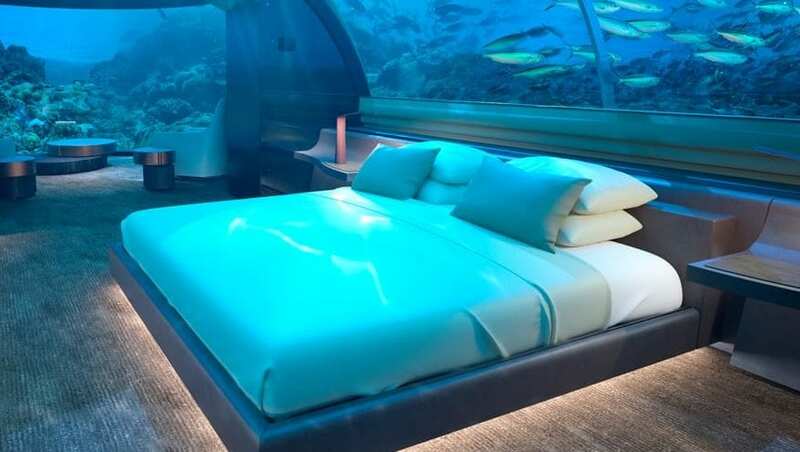 Of course, being underwater means that there is plenty to see all from the comfort of your own bed. However, there is even more than taking in the panoramic views of the ocean floor. 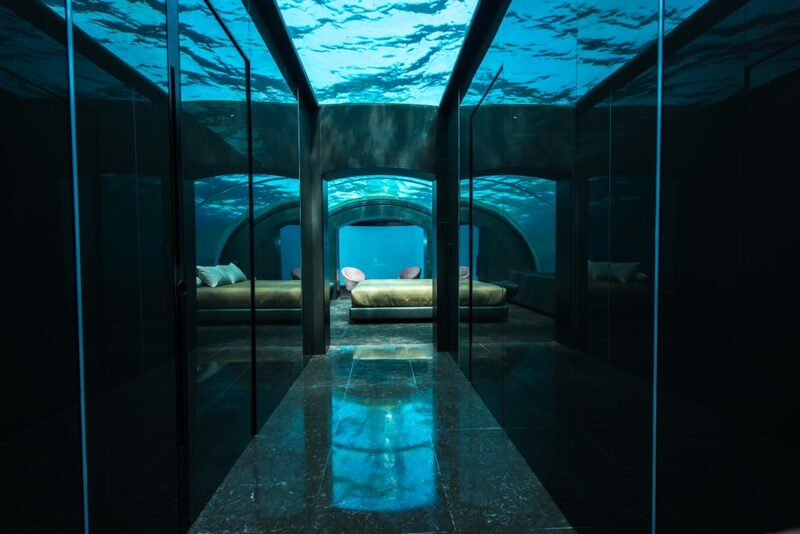 Yes, the island is also home to Ithaa, a five-star dining experience that has also been submerged underwater. It seems as though you may never have to come back up to the surface again. While this might sound like the ultimate vacation destination, we might have to do some saving before we can book a stay in one of the suites. After all, at $50,000 a night, it’s not the cheapest of options for most travelers. To top it off, guests have to book for four nights, but their $200,000 does include a private boat and a personal chef, so there are some perks. We thought we had seen it all, but now it looks as though we can view the world from an entirely new perspective. While The Muraka might not be in everyone’s price range, we can still dream of the day we get to sleep with the fishes – literally.